Find actionable insights to increase revenue & sales. For some organizations, mostly global companies, the majority of the selling process takes place via phone calls\online meetings. In the last few years a few companies have been established for one purpose – to allow those organizations to analyze their sales calls with prospects in order to find opportunities to improve their sale process. This BI solution is meant to help you identify covariates that can significantly impact the chance to close a deal. As a rule of thumb, a high GPM would indicate that our company/brands are likely to make a reasonable profit as long as we keep the remaining costs (Manufacturing overhead, operating expenses, etc.) under control. A low GPM would indicate that the production costs are too high and changes need to be make to production processes. We’ll use this indicator to understand which of our brands is best utilized and study its behavior over time, compare our brands across different locations (countries) and more. Companies often spend vast amounts of money on the products they sell, incurring expenses such as marketing, storage, manufacturing and salaries of workers. To maintain profitability, it is important to verify each product’s operational expenses (Opex) to Sales ratio is as low as possible. 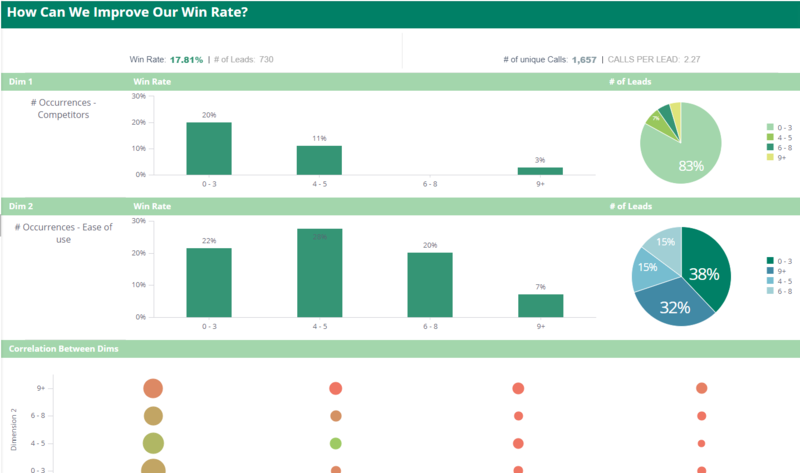 This dashboard is used to reduce a company’s Opex to Sales ratio. 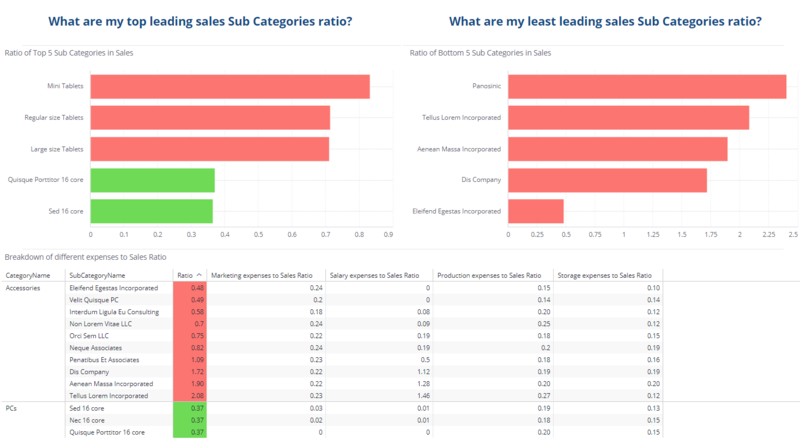 A sales dashboard provides users with an instant visual representation of their sales KPIs. 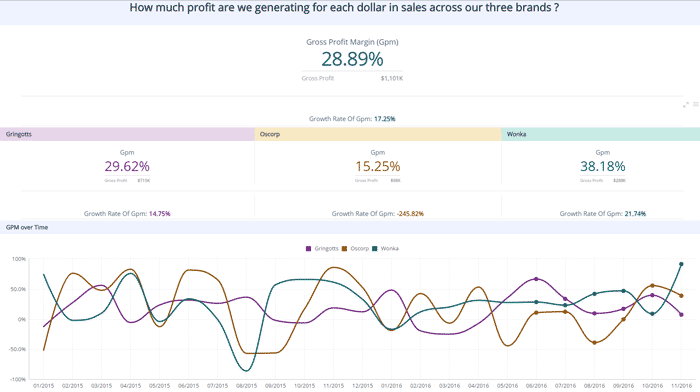 Sisense’s sales dashboard examples allow organizations to have a better understanding of their company's buying cycle, drill down into specific locations and brands and optimize sales performance throughout the day-week-month, ultimately improving the entire sales data analysis process.